RoomMate was founded in 2010 with the name Xcenter AS, aimed at developing innovative solutions within welfare technology. To deal with an aging population, it is necessary to adopt new technological solutions. Until now, the rapid developments in information technology have only in very modest extent been utilized within the welfare sector. The need for technological solutions are well documented, and fall detection and modernizing safety call systems have been emphasized. The aim is that seniors should be able to stay at home as long as possible, feeling safe and enjoying a high quality of life. For nursing homes, the staff will be assisted by the technology enabling more time to care for the residents. As of March 2019 RoomMate has six employees within technical development, sales and customer support and business development and administration. 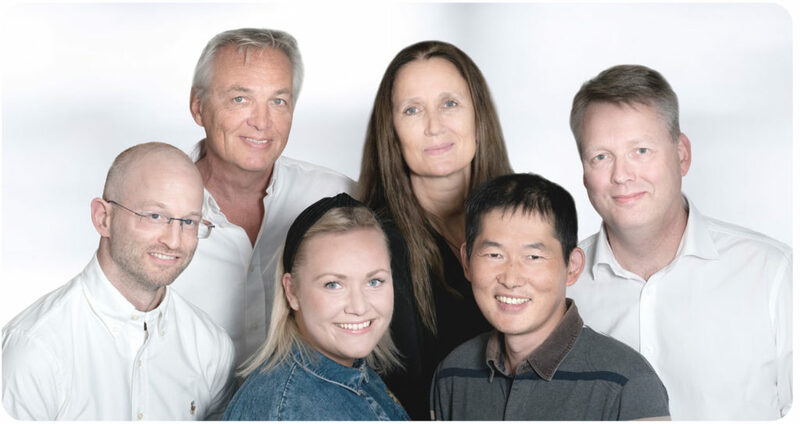 From left, Øyvind Bjørnson-Langen (product development), Tor Kveim (product development), Maritha Ingvaldsen (adviser and nurse), Ellen Myrland (adviser and nurse), Lieding Wu (developer) and René Nordstrøm Jensen (product- and business development).